Your child will be ready to join the Rescue Bots in this kids Optimus Prime Transformers costume. This costume includes a polyester jumpsuit with fiberfill padding in the chest and arms for a muscular look! The back of the jumpsuit features Velcro snaps in the back for quick and easy fitting. Screen-printed designs appear all along the jumpsuit to recreate the look of Optimus Prime, including tires on the elbows, headlights and a grill on the chest, a windshield on the chest, as well as grey semi truck detailing along the legs. The chest also features the Autobot symbol. The soft blue headpiece features stuff horns on the side and a grey cover over the eyes. Eye holes allow for clear vision. 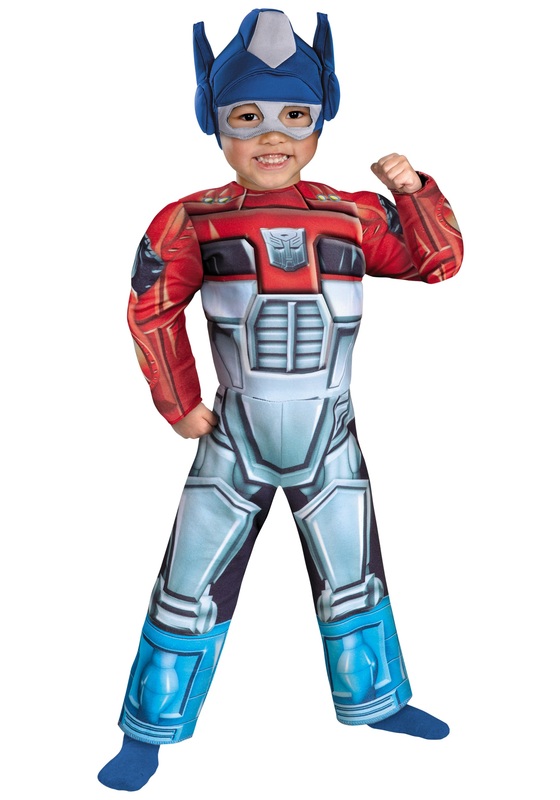 Team up with our Rescue Bots Bumblebee costume to have a whole team of Autobots ready for action.